The Ovens River Demonstration Reach aims to demonstrate the advantages of using multiple management interventions to showcase the cumulative benefits that river rehabilitation can have on native fish populations. The project was initiated in 2007 and is one of several areas selected throughout the Murray-Darling Basin to demonstrate the benefits of using river health management actions in conjunction, instead of isolation, to increase fish numbers. The Ovens River was chosen due to its high environmental values downstream of Wangaratta and because of the known presence of several endangered native species. 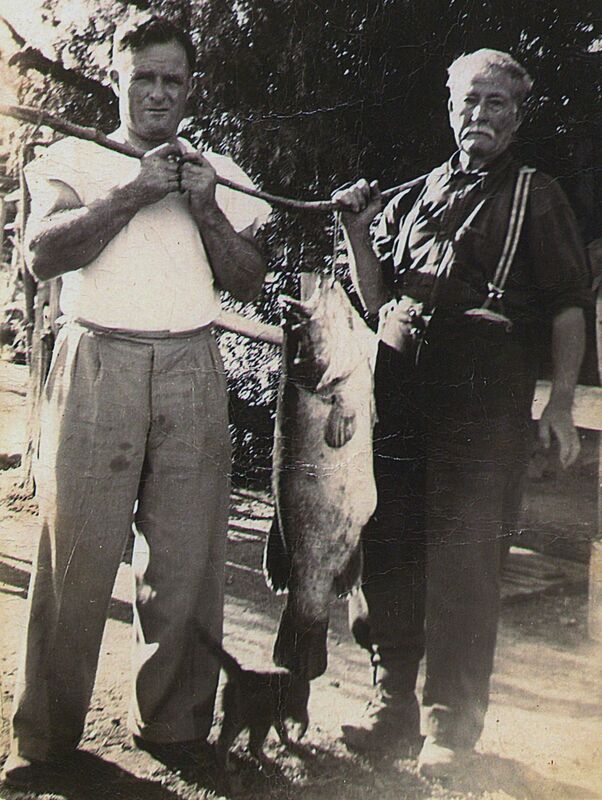 The Ovens River is home to the iconic Murray Cod (Maccullochella peelii) and the nationally endangered Trout Cod (Maccullochella macquariensis); both large-bodied native fish species historically abundant and widespread in the lower and mid Ovens River. However, their distribution and abundance dramatically declined in the last century, culminating in the local extinction of the Ovens River Trout Cod population in the 1980’s. A successful re-stocking program initiated in the 1990’s resulted in the return of a self-sustaining population of Trout Cod within the mid Ovens River by 2010. These cod fish species are most likely to benefit from the rehabilitation works undertaken in the Ovens River over the last eight years. 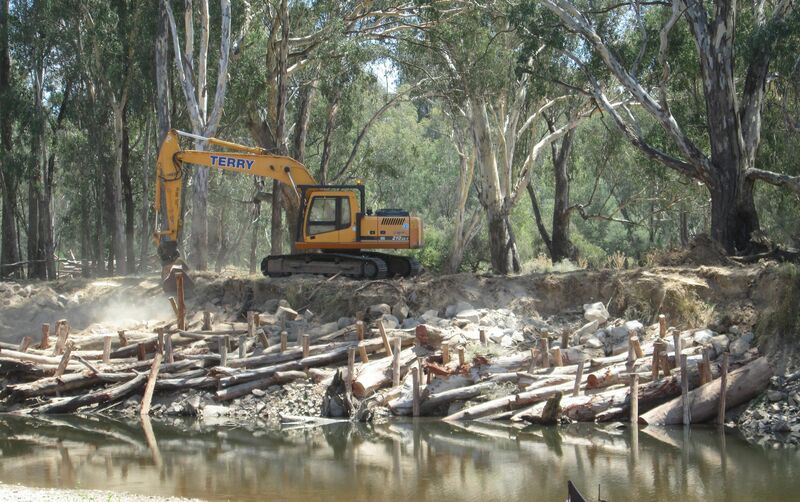 In the Ovens River, multiple river rehabilitation actions have been applied to address threats to river health and improve native fish populations in the river. Local, state and federal government agencies along with community groups have invested in a works and community education program to increase native fish numbers and build knowledge. The works program has provided additional habitat for native fish in the form of logs and ‘fish hotels’, removed river bank weeds, fenced off stock access to the river, improved river connectivity, removed barriers to fish migration, removed introduced fish species and stocked the reach with native fish. Annual electrofishing surveys have been undertaken in the Ovens and King rivers since 2008 to monitor the response of native fish to rehabilitation efforts in the Ovens River. Results have been astounding, with a 450% increase in the Murray cod population and a 270% increase in Trout cod numbers since the project began. In addition to the increases in abundance, populations of both cod species have also been strengthened by increases in distribution and size classes, indicating improvements to natural recruitment. These improvements to cod populations were not as pronounced in the nearby King River, strengthening the case for the success of river rehabilitation actions. Partnering with relevant stakeholders was essential to foster ownership of the project, effectively improve river health and demonstrate the value of collaboration. Partners included landholders, representatives from local clubs (including Landcare groups, Rotary, fishing clubs), schools and government agencies. Regular engagement events were held, including on-site meetings and field days with local school students and program partners, information stands at local fishing and camping shows, and conducting annual fish survey demonstrations. Information signs were installed and project updates were communicated during meetings, in distributed reports, through Demonstration Reach agency webpages, in local media, and at research conferences. And the many landowners and interested community members who participated in field work, provided assistance with river access and advice, supported rehabilitation activities on their properties, and continue to advocate for a healthy Ovens River.